If the internet browser keep redirecting to the Delta-searches.com, every time when you run your web-browser, then it is possible that your computer is affected by the potentially unwanted application (PUA) from the browser hijacker group. Once started, it will modify certain Firefox, Microsoft Internet Explorer, MS Edge and Chrome’s settings like newtab, startpage and default search engine. So, while your system is affected, you’ll see the Delta-searches.com intrusive web page instead of your startpage. collect Net browsing habits and sell it to third parties. We strongly suggest you to clean your PC of hijacker and remove Delta-searches.com without a wait , you need to perform the step-by-step guide below. The removal tutorial will allow you delete browser hijacker and protect your computer from more harmful software and trojans. In order to remove Delta-searches.com from the Internet Explorer, Microsoft Edge, Google Chrome and Firefox and set your favorite homepage and search engine, you need to reset the web-browser settings. Additionally, you should look up for other dubious entries, such as files, programs, web-browser extensions and shortcuts. However, if you want to remove Delta-searches.com easily, you should run reputable antimalware utility and let it do the job for you. Delta-searches.com is a hijacker that can replace your web browser settings and redirect you to the sites which may contain lots of ads. Not every antivirus program can find and remove Delta-searches.com easily from your internet browser. Follow the guidance below and you can get rid of browser hijacker by yourself. First, you should try to identify and uninstall the program that causes the appearance of unwanted advertisements or web browser redirect, using the ‘Uninstall a program’ which is located in the ‘Control panel’. It will show a list of all applications installed on your PC. Scroll through the all list, and remove any questionable and unknown software. Resetting your Mozilla Firefox is good initial troubleshooting step for any issues with your web browser application, including the redirect to Delta-searches.com webpage. However, your saved passwords and bookmarks will not be changed, deleted or cleared. 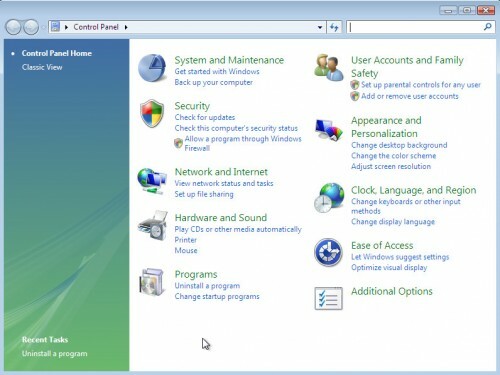 By resetting IE browser you revert back your internet browser settings to its default state. This is first when troubleshooting problems that might have been caused by browser hijacker infection such as Delta-searches.com. First, start the Internet Explorer. Next, press the button in the form of gear ( ). It will display the Tools drop-down menu, press the “Internet Options” as displayed on the image below. Resetting Google Chrome to default state is helpful in deleting the Delta-searches.com hijacker infection from your web browser. This solution is always effective to complete if you have trouble in removing changes caused by hijacker. In order to get rid of Delta-searches.com easily, you not only need to uninstall it from the internet browsers, but also remove all its components in your machine including Windows registry entries. We advise to download and run free removal utilities to automatically clean your PC system of Delta-searches.com browser hijacker. Zemana Anti Malware (ZAM) is extremely fast and ultra light weight malicious software removal utility. It will help you remove Delta-searches.com browser hijacker, adware, PUPs and other malware. This application gives real-time protection that never slow down your computer. Zemana Free is designed for experienced and beginner computer users. The interface of this tool is very easy to use, simple and minimalist. Please go to the following link to download the latest version of Zemana Anti-Malware (ZAM) for Windows. Save it to your Desktop so that you can access the file easily. After the download is finished, close all apps and windows on your PC. Open a folder in which you saved it. Double-click on the icon that’s named Zemana.AntiMalware.Setup. Once install is finished, click the “Scan” button to start checking your computer for the Delta-searches.com browser hijacker and other web-browser’s harmful addons. A system scan can take anywhere from 5 to 30 minutes, depending on your PC. When a threat is found, the number of the security threats will change accordingly. Wait until the the scanning is complete. When the scan is done, Zemana Anti-Malware will show a scan report. In order to remove all threats, simply click “Next”. Once disinfection is finished, you may be prompted to reboot your PC. Hitman Pro is a free tool that can identify Delta-searches.com browser hijacker infection and other web browser’s harmful addons. It’s not always easy to locate all the undesired applications that your PC system might have picked up on the Internet. 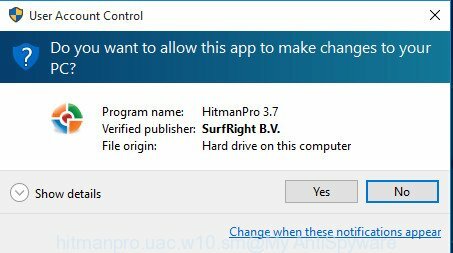 Hitman Pro will search for the ad-supported software, hijacker infections and other malware you need to delete. Once downloading is finished, open the directory in which you saved it and double-click the Hitman Pro icon. It will start the Hitman Pro utility. If the User Account Control prompt will ask you want to launch the program, press Yes button to continue. Next, click “Next” to scan for hijacker responsible for modifying your internet browser settings to Delta-searches.com. This process can take some time, so please be patient. When a threat is detected, the number of the security threats will change accordingly. Wait until the the checking is done. 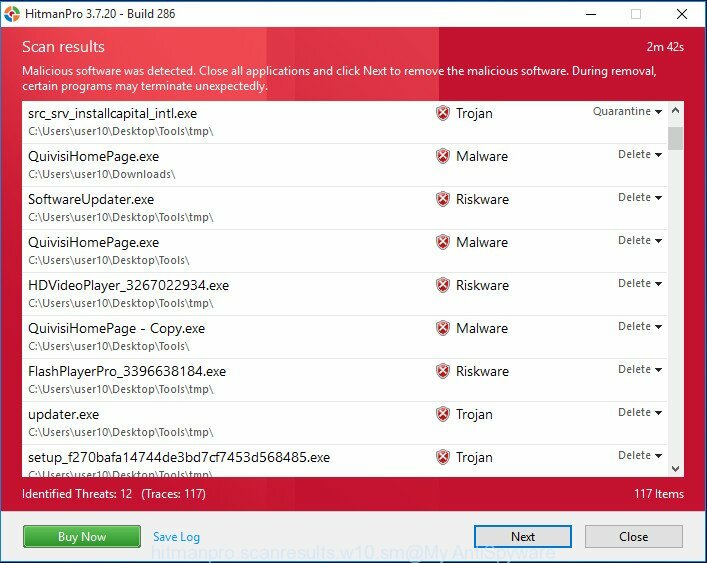 After finished, HitmanPro will create a list of unwanted programs adware as shown on the image below. When you are ready, click “Next” button. It will open a dialog box, click the “Activate free license” button. 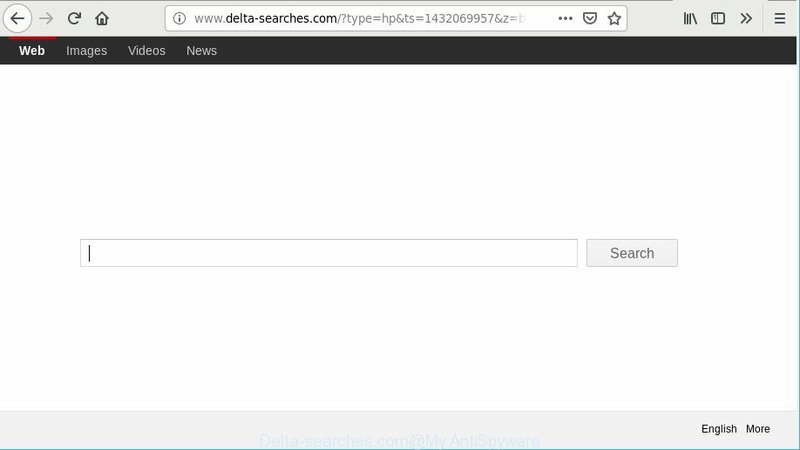 The HitmanPro will delete browser hijacker responsible for redirecting user searches to Delta-searches.com and add threats to the Quarantine. When the process is finished, the tool may ask you to restart your PC. Use an adblocker utility like AdGuard will protect you from harmful ads and content. Moreover, you can find that the AdGuard have an option to protect your privacy and stop phishing and spam web sites. Additionally, ad-blocker programs will allow you to avoid unwanted advertisements and unverified links that also a good way to stay safe online. Please go to the following link to download AdGuard. Save it to your Desktop. In most cases, the default settings are enough and you do not need to change anything. Each time, when you run your computer, AdGuard will launch automatically and stop pop-up ads, Delta-searches.com redirect, as well as other malicious or misleading web pages. For an overview of all the features of the application, or to change its settings you can simply double-click on the AdGuard icon, that is located on your desktop. Many of the free software out there install unwanted internet browser toolbars, ad supported software and potentially unwanted software such as the Delta-searches.com browser hijacker and other browser’s harmful add-ons along with them without your knowledge. One has to be attentive while installing free programs in order to avoid accidentally installing optional apps. It is important that you pay attention to the EULA (End User License Agreements) and select the Custom, Manual or Advanced installation type as it will typically disclose what additional applications will also be installed. 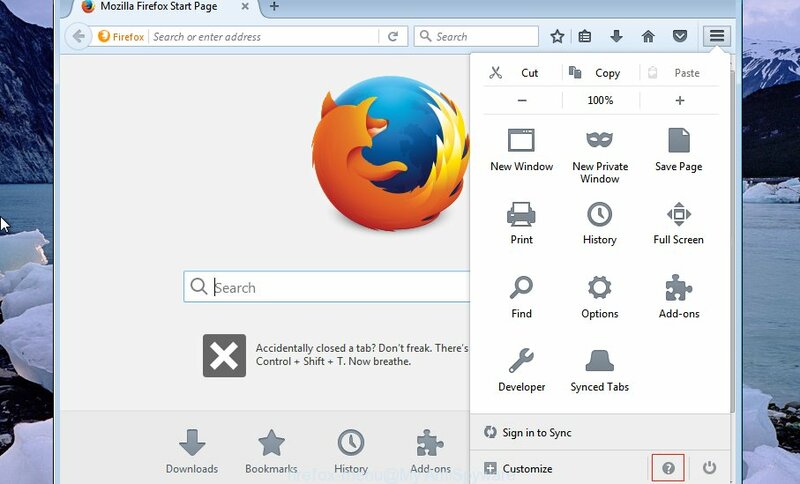 Now your computer should be clean of the browser hijacker responsible for modifying your web-browser settings to Delta-searches.com. We suggest that you keep Zemana Anti-Malware (to periodically scan your system for new browser hijackers and other malware) and AdGuard (to help you block annoying popup advertisements and harmful web sites). Moreover, to prevent any browser hijacker infection, please stay clear of unknown and third party programs, make sure that your antivirus program, turn on the option to search for potentially unwanted software. If you need more help with Delta-searches.com search related issues, go to here.